Of the 2.6 billion people who live on less that $2 per day, almost 2 billion live in rural areas, in countries whose economies and people are most dependent on natural resources. Efforts to meet the Millennium Development Goal of cutting poverty in half in such areas are being stymied by the already-evident impacts of climate change. 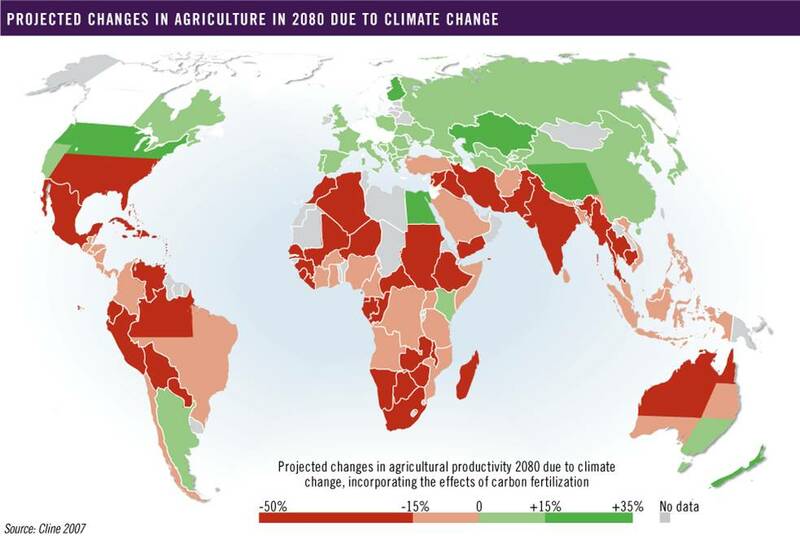 Shown in this figure is the forecasted change in agricultural output potential from the turn of the century to 2080.